Volume 4, Edition 40 Trouble loading? View this email online. 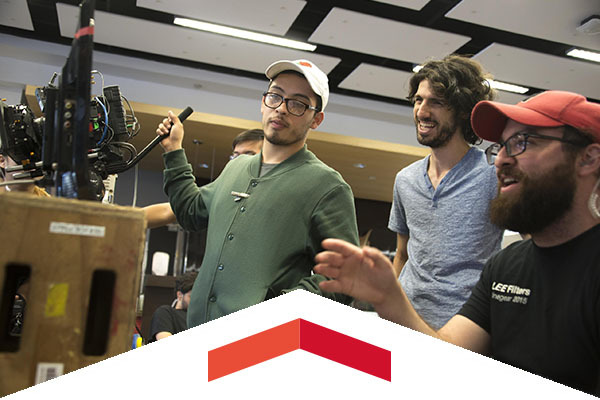 With top-flight faculty and alumni throughout the industry, entertainment trade magazine Variety listed CSUN’s Department of Cinema and Television Arts as one of 2017’s Top 30 “Stellar Film Schools” worldwide. 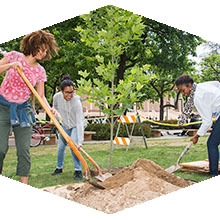 The Arbor Day Foundation honored CSUN as an official Tree Campus USA for the third consecutive year as a result of the university’s commitment to effective urban forest management. 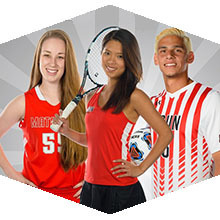 Graduating student-athletes Juan Fernando Samayoa (soccer), Katie King (basketball) and Mickey Hsu (tennis) are some of the many athletes who had success in the classroom and on the field. Wed, May 31, 2:30 p.m.
A native of the Philippines who became a household name as a standout high school player in Los Angeles, Paras is transferring to CSUN after a year at Creighton University. Paras will be available to the media to talk about his move back to Southern California. Matador head coach Reggie Theus and Director of Intercollegiate Athletics Brandon Martin will also be available. CSUN cordially invites alumni to the San Fernando Valley Award for Fiction Reception. Antoine Wilson, author of Panorama City, will be receiving the honor. Sat, June 17, 6 p.m. Treat yourself this summer and watch the Moody Blues perform live at the Hollywood Bowl, which will conclude with fireworks at the end. Join CSUN alumni for a pre-concert picnic before the fun starts. Check out some of the photos highlighting this year’s Aztlán Graduation, which took place on May 12. Check out some of the photos highlighting this year’s Black Graduation, which took place on May 14. Check out some of the photos highlighting this year’s Rainbow Graduation, which took place on May 19. Check out some of the photos highlighting this year’s Veteran graduation, which took place on May 18. Support students, meet colleagues and get fit – all in an hour. And for free! Join us for group exercise Tuesdays and Thursdays through Aug. 3. Commit to be Fit is designed for all fitness levels and will expand your limits of strength, endurance, flexibility, balance and cardiovascular health. As part of HR’s Personal Development programming, the SRC offers several “Lunch Time Express” group exercises classes to faculty and staff every Monday and Wednesday this summer. These classes are free and do not require an SRC membership to participate. Come join SRC members on your lunch break. Faculty and staff can receive hands-on training that will prepare them for a variety of cardiac, breathing and first aid emergencies.